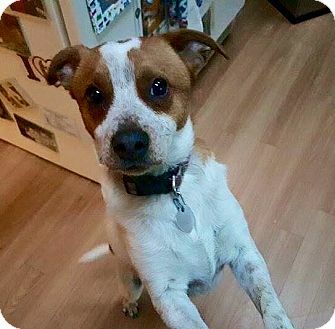 Roscoe is a playful, friendly and amazingly loyal Jack Russell Terrier mix. Estimated to be between 1-2 years old, Roscoe is neutered, Heartworm negative and up-to-date on all vaccinations. His kind spirit allows him to blend in well around other dogs, cats and even children. At roughly 20-lbs., he is an ideal size. Roscoe is already house trained and crate trained, making it an easy transition into his forever home. This adoptable canine companion is here to make your heart skip a beat.